Sony may not be able to come up with snappy names, but they make some seriously snappy headphones. The WH-1000XM3 are wireless, noise-canceling headphones that we believe are the best pair currently available. No doubt, no question. In this review, we break down the sound, design, comfort and fit, packaging and accessories, specs and more of the Sony WH-1000XM3. To see how they stack up, check out our list of the best headphones. 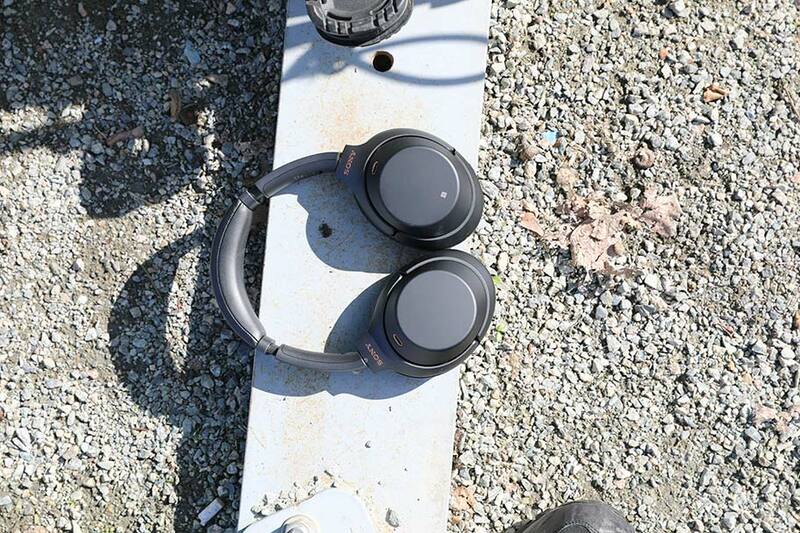 The Sony WH-1000XM3s deliver excellent noise-canceling. We'd be crazy to admit otherwise. 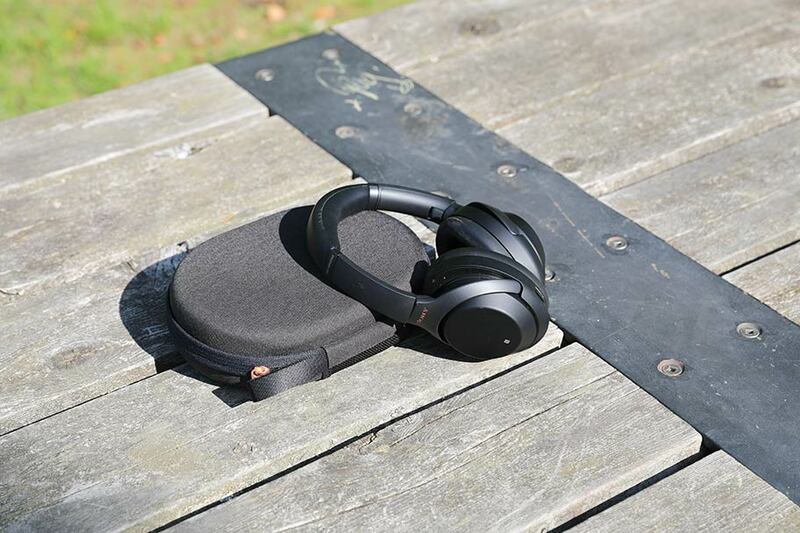 While they aren't the best noise cancelers currently available – something we go into in a little bit more detail below – they manage to very effectively block out the outside world. One of the big changes between this model and the previous one (which, as you can imagine, was called the WH-1000XM2) is the development of a new noise-canceling chip. Previously, the cancelation was integrated into the headphones' internal amp, but with this new version, it's an entirely separate chip. Having heard both models, and been able to compare them directly, there's a real difference. 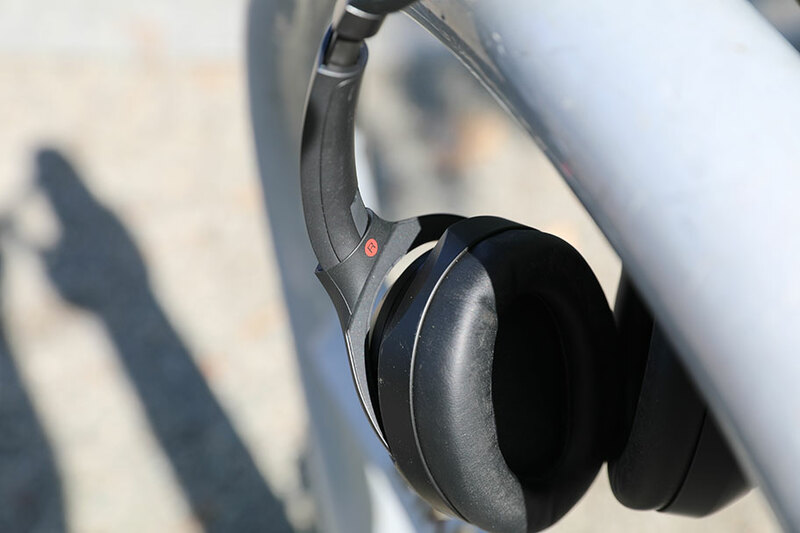 The noise-canceling in the new XM3s feels much more adaptive, fluid, and responsive. It doesn't just block out the low rumble of plane engines and traffic; it's also very effective at eliminating voice, and other high-frequency noises. This is a genuine pleasure, especially if you have the headphones on without music, trying to catch some shut-eye. Crucially, you can use the app to fine tune exactly how much of the outside world gets in, allowing you to create a mix of music and the world around you to suit your tastes. 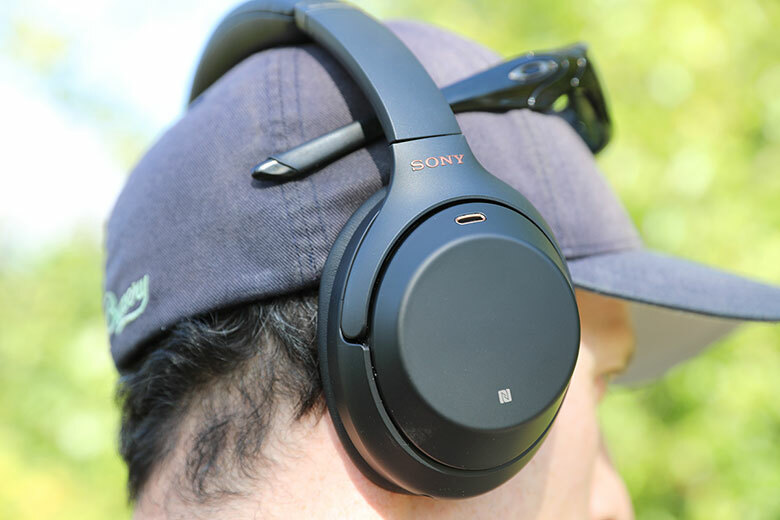 There are several good reasons why the Sony WH-1000XM3s recently topped our list of the best headphones of this year, and this is a big one. However, just because the noise-canceling is excellent doesn't mean it is the best available. While it might be the most versatile and adaptable, for pure silence, you need to be looking at the Bose QuietComfort35 IIs (full review here). They are – wait for it – a whole dollar more expensive than the Sony headphones, at $349. For that extra dollar, you get the best cancelation on the planet, with an ability to block out low frequency noises that is simply extraordinary. We've seen plenty of other reviews that say they prefer the cancelation of the Sony headphones to that of the Bose, but we disagree. It's a small difference, but Bose are still on top – although to be clear, you don't get the ability to mix in ambience from the world around you. Bose may have Sony beaten on the noise-canceling front, but the one area they can't compete with is the sound quality. Sony win this one, hands down, with an audio performance that is assured, confident, and impressive. We loved how tight and punchy the bass was. It had none of the overcooked, fluffy quality found in the Beats Studio3 Wireless (full review here), which cost a touch more, at $350. Instead, it felt warm and engaging. Drum kicks had real energy, basslines squelched and spat, and vocalists dropping down a real low were an absolute joy to listen to. 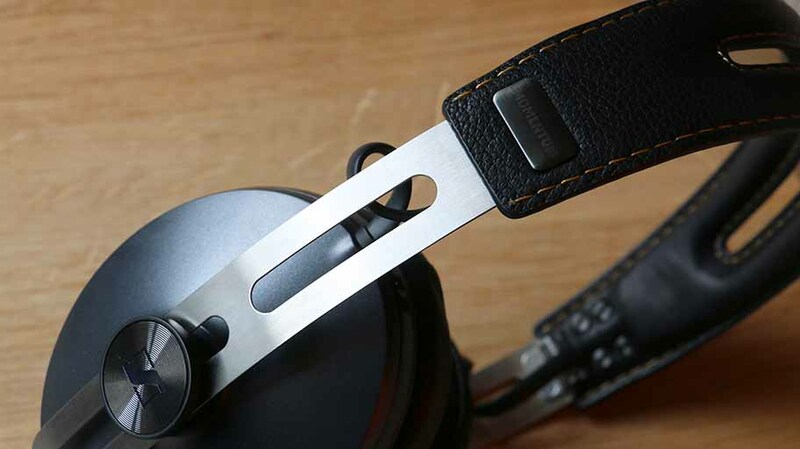 noise-canceling tends to have a negative effect on sound quality, and bass in particular – in eliminating the outside world, the canceling chip also takes a little bit of the edge off the sound. That's not the case here. It also helped that the rest of the sound quality, outside of the bass, was equally solid. These aren't quite the richest and most expansive headphones in this price range, in terms of audio quality. In our opinion, those would probably be the Sennheiser HD1 Wireless (full review here), which sound absolutely fantastic for their $400 price tag. But the WH-1000XM3s still sound absolutely superb. Vocals were out of this world, far better than we expected them to be. Elements in the high-end, like snares and strings, sizzled and crackled with energy. We are not exaggerating when we say that these headphones have some of the most engaging sound we've ever heard, and definitely some of the most engaging in this price range. If you pick them up, you'd have to have a heart of stone to be disappointed. When you have a pair of headphones packed this full of technological goodness, one of the casualties can often be sound quality, but Sony really stuck the landing here. They kept the sound signature from the WH-1000XM2, which was one of the best things about those headphones. While you could argue that they should have sharpened the sound even further, it was already pretty damn good, with very few weak spots. Compared to the Bluetooth 4.1 used by the previous version of these headphones, the WH-1000XM3 uses Bluetooth 4.2. We'll be honest – we couldn't detect a difference in sound quality. At that level we would be surprised if we did. Although it's not easy to make out unless you read the full headphone specs, the WH-1000XM3s actually support aptX and aptX HD Bluetooth, meaning that if your source is capable of transmitting it – and plenty of digital audio players have this functionality – then the headphones will be able to receive it. We never had any real issues with the Bluetooth connection, and it performed flawlessly up to about 30 feet. Wireless sound isn't going to match wired just yet, but it's catching up fast. The WH-1000XM3s are integrated with both Google Assistant and Amazon Alexa - Alexa was recently added in a post-launch update. We've tested them, and they work just fine. We still prefer Google Assistant, which is significantly smarter and more capable, but you can use Alexa if you so desire. They also have Siri, although it's far from the best virtual assistant. If you do want to try out Siri, then your best bet is still to pick up a pair of Apple's own headphones. The Apple AirPods (full review here), which cost $159, have this built in. Voice assistants are activated by holding down the noise-canceling button next to the power switch. The microphones picked up our voice commands without any trouble, and although we didn't find ourselves using this feature all that much. With the addition of Alexa to the Sony headphones, the the Bose QuietComfort35 IIs lose their advantage - now the headphones have identical voice assistants. If we have to be very nitpicky, we will say that the call quality on the WH-1000XM3s is not perhaps as good as it could be. It's still perfectly acceptable, but we can think of plenty of other headphones and earbuds that do it better. Among them, the Jabra Elite Active 65t earbuds (full review here), which remain the best earbuds currently available. The call quality is a minor thing, and in all cases, we had no problem understanding or being understood. They separate the noise-canceling chip from the internal amplifier. It's called the HD Noise Canceling Processor QN1, and it improves noise-canceling performance. The headband and ear-cup design have been refreshed, giving more space and comfort. Google Assistant is now standard – the previous headphones added it only through an update. We go into quite a few of these elements below, and the impact they have on the overall experience. But here is the key takeaway: the new version of these headphones costs exactly the same as the old version – that is to say, $348. In other words, there's absolutely no reason to buy the old headphones if the new ones are available. They are significantly better – and even if they were a completely new model, we'd say that the price is about right. The level of technology and forward-thinking design you get here is quite outstanding. If there's one black mark we could put against the design, it's that the WH-1000XM3s don't really feel premium. At $350, we expected a little bit more than clacky plastic. 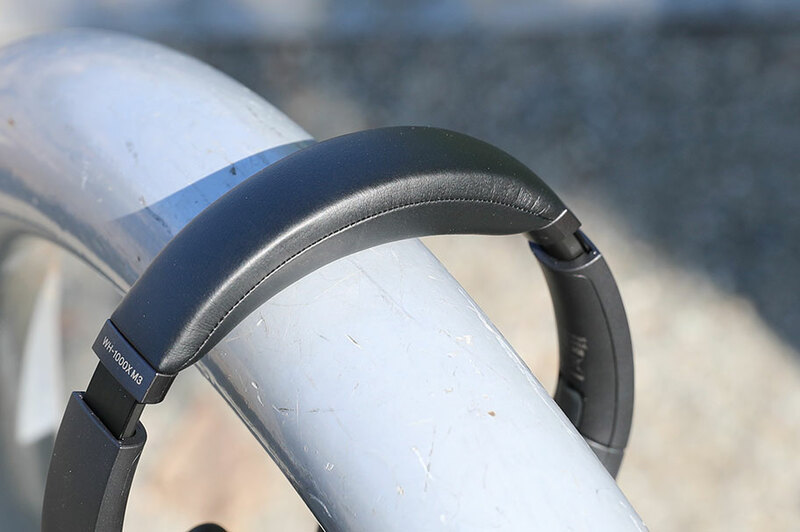 Fortunately, while the build quality may be a little bit less exciting than we'd hoped, it feels sturdy and robust enough, with a good level of flex in the headband. 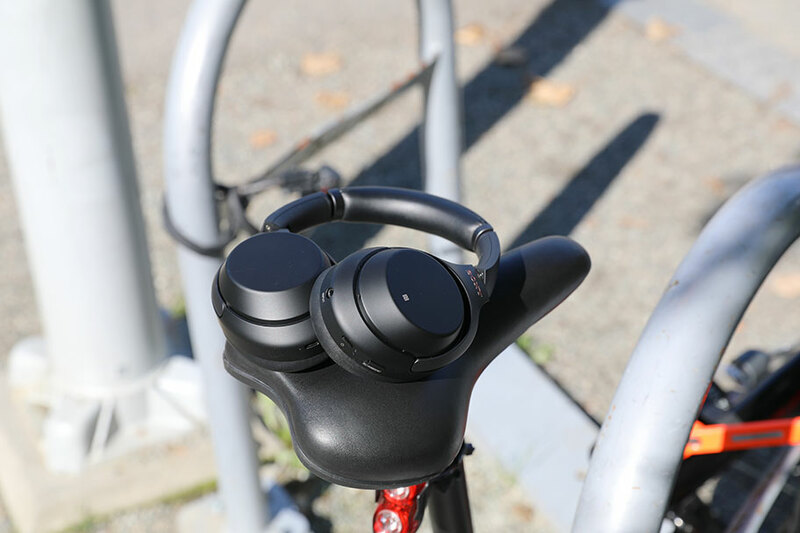 The headphones hinge freely, and rotate up to make them fully portable. They are also light enough, at just under nine ounces, to rarely cause any discomfort while you're wearing them. One thing that has changed with these headphones is the material on the outside of the cups. It used to be faux-leather, which was a pleasing texture to drag your finger over as you used the controls. The leather look is gone, in favour of – you guessed it – smooth plastic. That being said, the controls work very well. Almost everything you do is via touch on the outside of the right ear, and the sharp beep that accompanies each gesture makes it easy to work out when an input has been successful. 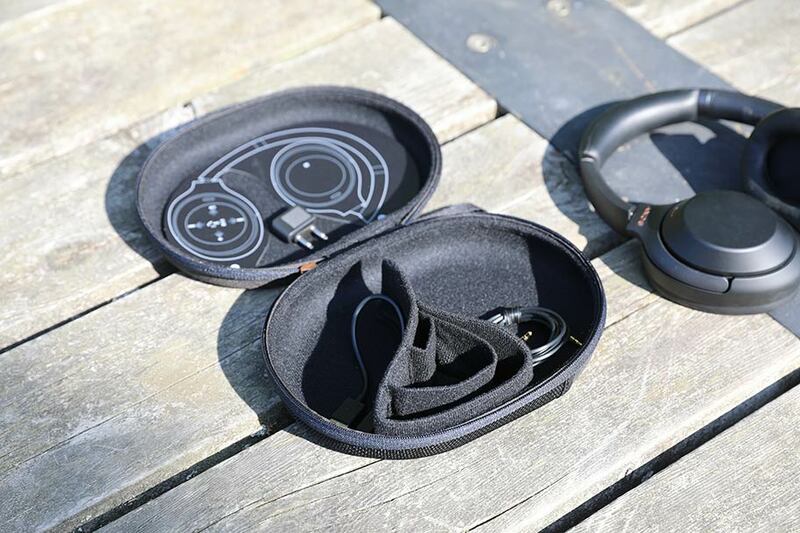 Touch control can be a bit iffy on headphones – just ask Sennheiser, whose PXC 550 wireless headphones (full review here) didn't do a very good job of it. There are two dedicated buttons outside of the touch controls – a power button, and one labelled NC/Ambient. The latter controls not only the level of noise-canceling, but also the voice assistant, when held down. It's a control scheme that works very well, for the most part, and it helps that the headphones look really good, too. Their shape has seen a little fine tuning since the previous model, and we absolutely adore the black-and-gold style of our review unit. It makes us think of Klipsch speakers, and on the site, we love Klipsch speakers. Another reason these headphones are the best available: the battery life. We might not have quite touched the heights of the 30 hour life advertised by Sony, but we did get close, clocking in at 28.5 hours at 75% volume. 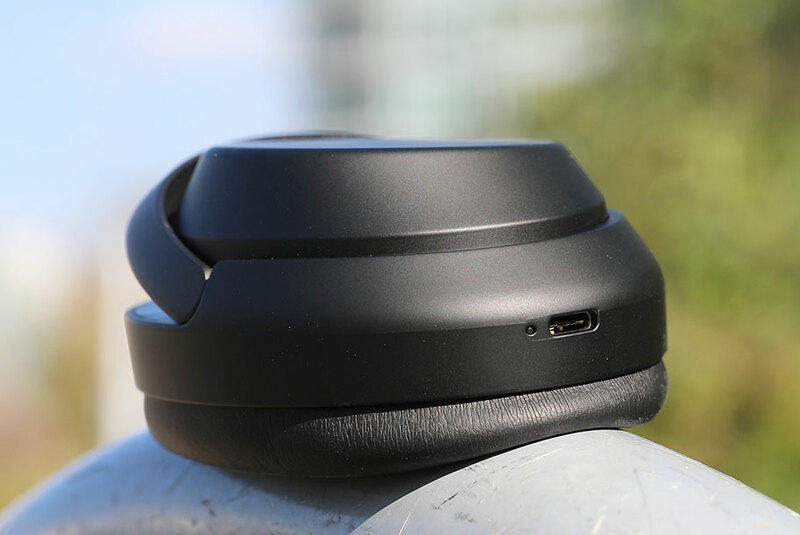 That is easily – without a shadow of a doubt – the best battery life of any pair of wireless headphones currently available. It's actually quite astounding how Sony have pulled it off. For comparison, the aforementioned Bose QuietComfort35 IIs only manage 20 hours, and at the same price of around $350. If that wasn't enough, even ten minutes of charging with the included USB-C cable will be enough to give you listening power for a few hours. 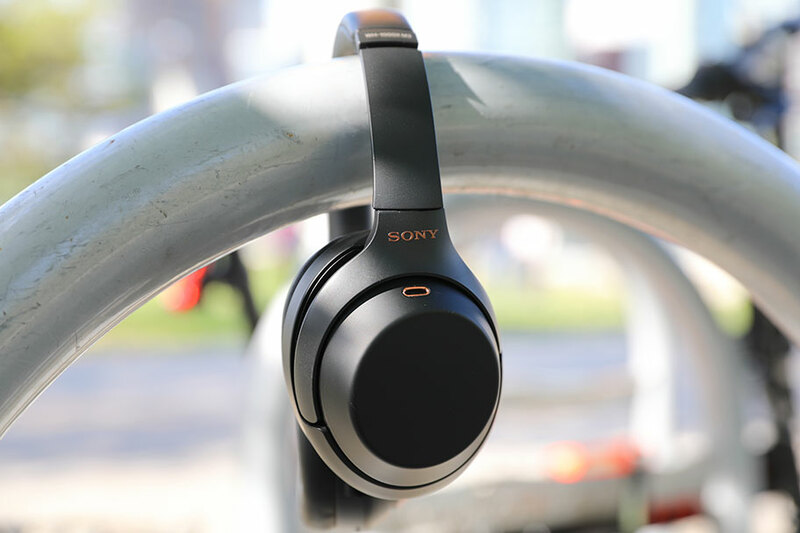 With the amount of technology packed into these headphones, simple physical controls were never going to be enough, so it's a very good thing indeed that Sony's iOS/Android app, simply called Headphones Connect, is so well-designed. It allows you to control just about every aspect of the headphones, including some you will almost certainly never use. It's absolutely brilliant. One of the functions we did like was the ability to set different modes for walking, running, public transport, and seated listening. You can set the level of noise-cancelation and ambient sound for each mode, and – and this is the clever bit – once it's set, you will never have to manually switch modes. 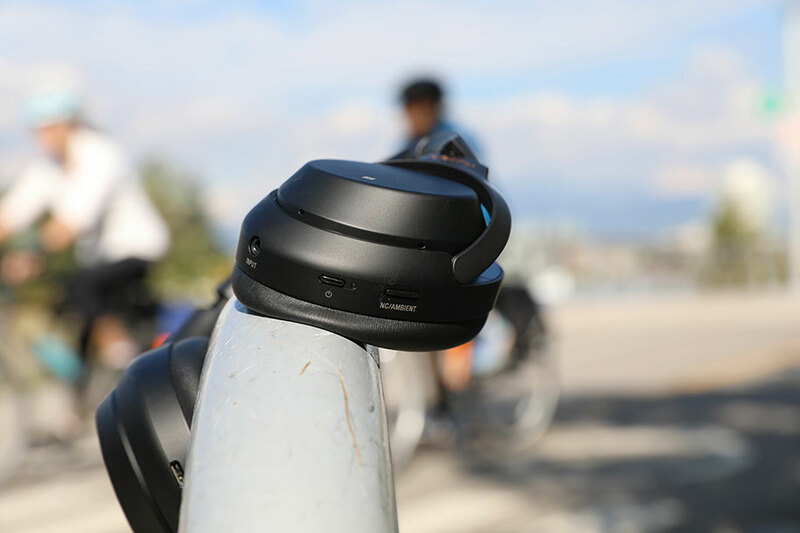 The headphones detect the speed at which you are travelling, and adjust accordingly. They do interrupt the music with a subtle beep when this happens, which can be confusing the first few times, but it's a minor glitch. You can also do things like add Club and Arena filters, play with EQ, even control the position of the music. If, for some reason, you wish to have your tunes playing from directly behind you and to the right, you can. You can even tell the app to focus on sound quality or Bluetooth signal stability. 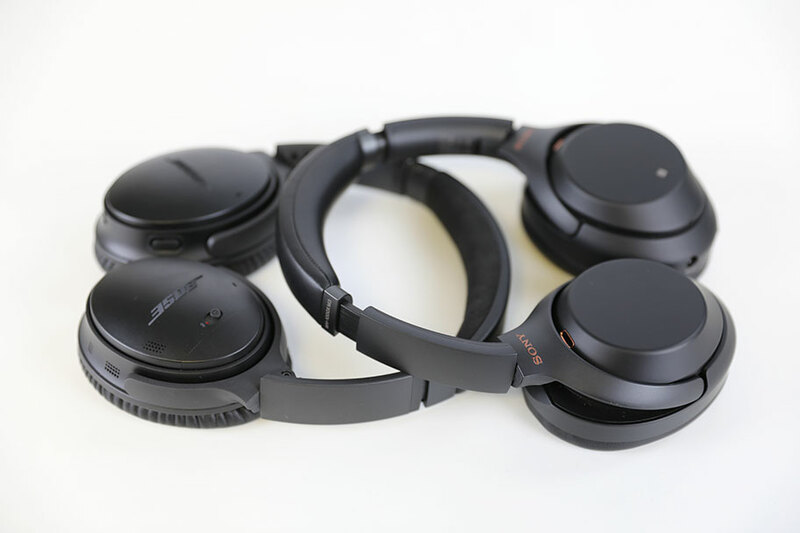 One of the features missing from the WH-1000XM2 was the ability to keep the headphones and noise-canceling on while music wasn't playing – if they detected no sound, they turned off automatically after five minutes, which is a problem the Bose headphones don't have. You can now adjust this time period up to three hours, or even remove automatic power-off entirely. Ideal for sleeping on airplanes. The cups and headband of the WH-1000XM3 have undergone a major redesign. Compared to the previous version, the headband is thicker and squashier, with much more give. There's also a lot more space inside the cups, meaning those with bigger ears will find these much easier to wear. Admittedly, we never found the previous version to have any problem with comfort – we quite happily wore them for hours at a time. But if anything, these are even more comfortable. Sony still has a way to go before they reach the most comfortable headphones of all time, the $599 Beyerdynamic Amiron Home (full review here), but they are catching up fast. While we do wish that Sony showed a little bit more pizzazz in their packaging and accessory game, the offerings here are perfectly acceptable. The box is simple, and the headphones inside are nestled in an ovular carry case, with the dedicated partition that makes folding them up and placing them simple. There are also cute, dedicated slots for the aux cable (used for listening to the headphones in wired mode), the aeroplane adapter, and the USB-C cable. We do love the fact that Sony have finally switched over to this, as it means that you'll be able to charge these headphones from just about any other cable you have lying around, including many phone charges. But the cable they supply themselves is far too short. 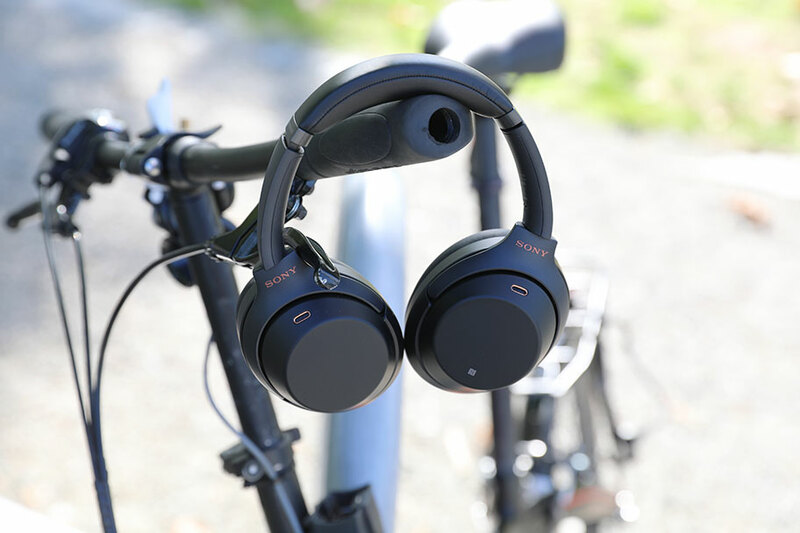 The Sony WH-1000XM3s do just about everything right, offering and excellent feature set and sound quality. The app is fantastic, and the range of functions is just unbelievable. The price is right, with the new headphones costing exactly the same as the old model, and giving you far more. We love, love, love Sony for switching over to USB-C. 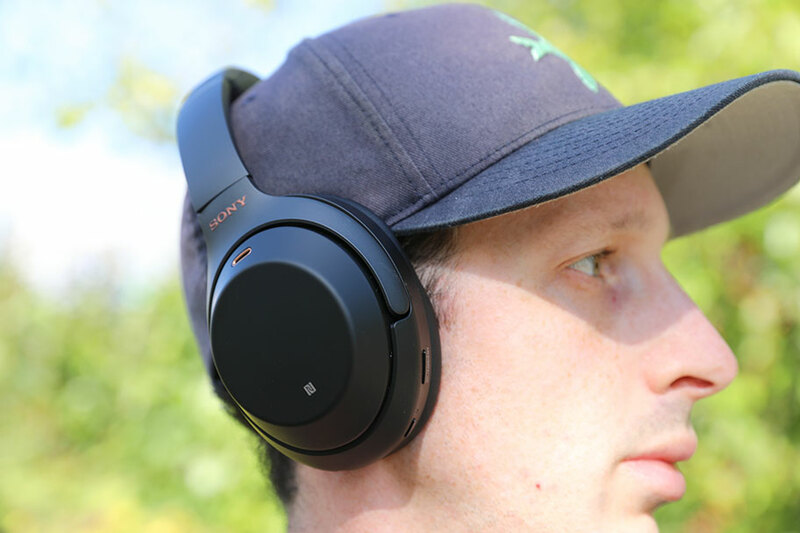 The noise-canceling tech in the Sony WH-1000XM3s isn't quite as good as it could be. The headphones look tiny bit cheap, and use a ton of plastic. The included USB-C cable is far too short. The most obvious competition for the Sony WH-1000XM3s are the – you guessed it – Bose QuietComfort35 IIs. To be blunt, the differences between them can be summarised as follows. If you want headphones with better noise-canceling, get the Bose. If you want headphones with better sound quality and battery life, get the Sonys. Beyond that, the choice comes down to details. Both pairs of headphones cost the same, or very close to it – $349 for the Bose, $348 for the Sonys. For the foreseeable future, these two pairs of headphones will be the top pick for many people, and we can absolutely see why. They are both, in their own way, extraordinary. If you want something with slightly more advanced sound quality, and are prepared to compromise on advanced technology and noise-canceling, then we strongly recommend the Sennheiser HD1 Wireless. The design hasn't aged particularly well, but these headphones – sometimes confusingly called the Sennheiser Momentum 2.0 Wireless – sound absolutely spectacular. They offer a deep and rewarding audio quality, with a very wide soundstage and terrific bass. They are $50 more expensive than the Sonys, at $400, but we've seen their price fluctuate. Here's an alternative you can definitely steer clear of: the Beats Studio3 Wireless. While they may be in the same price-range as the Sonys, at $350, they have almost nothing to recommend them. Yes, their bass may be fun, but every other part of their sound is almost hilariously out of whack, and the noise-canceling makes it all feel muffled and insubstantial. Their control, design, and listener experience are just appalling, and they remain one of the worst headphones we've ever tested. The Sony WH-1000XM3s do everything they do better, and for significantly less money. This is a no-brainer. Sony make several pairs of excellent wireless headphones. We already talked about the WH-1000XM2, so let's compare the XM3s to something else. How about…let's see…the Sony WH-H900N. These are obviously an inferior model to the XM3s, with none of their technology or audio advancements, but they remain a good pair of headphones. Crucially, they are cheaper, at $279, and you can clearly see their DNA in the design of the XM3s. 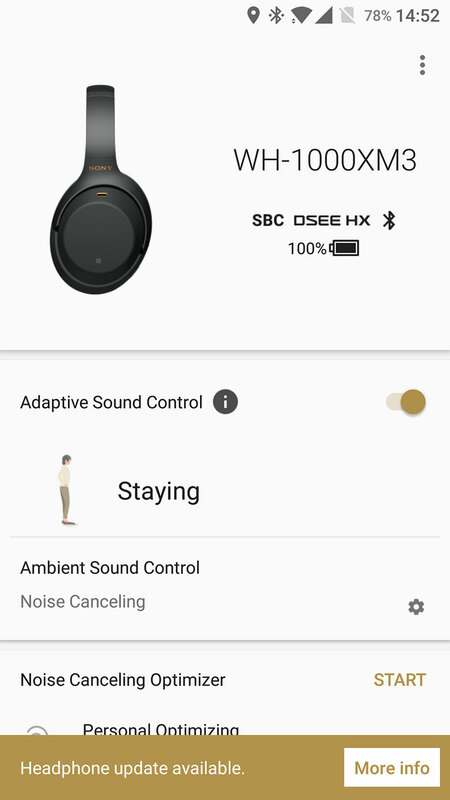 You get noise-canceling, Google assistant functionality, and they even work with the Headphones Connect app. A worthy alternative, if you don't want to spend the full $350. How Have The Sony WH-1000XM3s Performed Since They Launched?